(TORONTO, ONTARIO – Feb 7, 2018) As a Worldwide Olympic Partner and a Worldwide Paralympic Partner, the true challenge for Toyota and its President and CEO Akio Toyoda is to stimulate the 80-year-old company by reinforcing its core values and inspiring its 370,000 employees worldwide to help create a society where mobility is an opportunity for people to achieve their dreams. Sports are the ideal endeavour to do just that, especially with an event that unites the world. Carle Brenneman (Comox, B.C., snowboard) will compete in her first Olympic Winter Games, in the snowboard cross event. Competing on the World Cup tour with the Canadian national team since 2011, she took home three World Cup top tens, including a World Cup Bronze in the SBX team event with teammate Tess Critchlow at the 2017 Veysonnaz World Cup. Brenneman then finished things off with a 2nd place at the Sports Experts Speed Nation Nationals at Mont Tremblant, QC. Jane Channell (North Vancouver, B.C., bobsleigh skeleton) will represent Canada for the first time at the 2018 Olympic Winter Games. She started the sport of skeleton in 2011. Jane grew up a multisport athlete playing basketball, soccer, softball and running on the track team. Jane is in her seventh year of sliding, has finished third overall on the World Cup circuit and has been on the podium three times. Taiki Morii (Japan, Para alpine skiing) decided to started sit-skiing after watching the Paralympic Winter Games in Nagano in 1998 while in the hospital following an accident. He has earned four medals from his participation in four prior Paralympic Winter Games. Riding his chair-ski that uses Toyota technology, he will ski for a gold medal at PyeongChang 2018. Ayuko Ito (Japan, women’s short track speed skating) is competing in her third Olympic Winter Games, after appearing in Sochi (2014) and Vancouver (2010). She is an employee of the Toyota Short Track Speed Skating Team. Sumire Kikuchi (Japan, women’s short track speed skating) will experience her first Olympic Winter Games in PyeongChang. She competed in the 2018 Japanese national championships and won the Ladies’ 500-metre final in December. Kikuchi is a member of the Toyota Short Track Speed Skating Team. Hiroki Yokoyama (Japan, men’s short track speed skating) is another newcomer to the Olympic Winter Games. Yokoyama competed in the 2018 Japanese national championships and won the Mens’ 1,500-metre final in December. He is also a member of the Toyota Short Track Speed Skating Team. Shoma Uno (Japan, men’s figure skating) is having his debut at the Olympic Winter Games at PyeongChang 2018. In December 2017, Uno captured silver at two separate events, one at the Four Continents Championships, and the other the Japanese National Championships. Satoru Terao (International Skating Union technical committee member) has attended and experienced four Olympic Winter Games previously as a medal hopeful and contender in speed skating. He will use his years of experience to provide support for the technical operations this year at PyeongChang 2018. Terao is a supervisor of the Toyota Short Track Speed Skating Team. Additionally, Toyota has built relationships with athletes around the world in various disciplines. In selecting Team Toyota athletes, the company, its affiliates and distributors around the world looked for individuals that best reflect Toyota’s core values: be caring; be a natural challenger; represent the kaizen spirit; have a love of learning and be curious; be honest with strong work ethic; be a team player; be accountable; be humble and thankful; and respect others. Some of them shared their personal stories at the Toyota Mobility Summit in Athens, held for the first time last October. 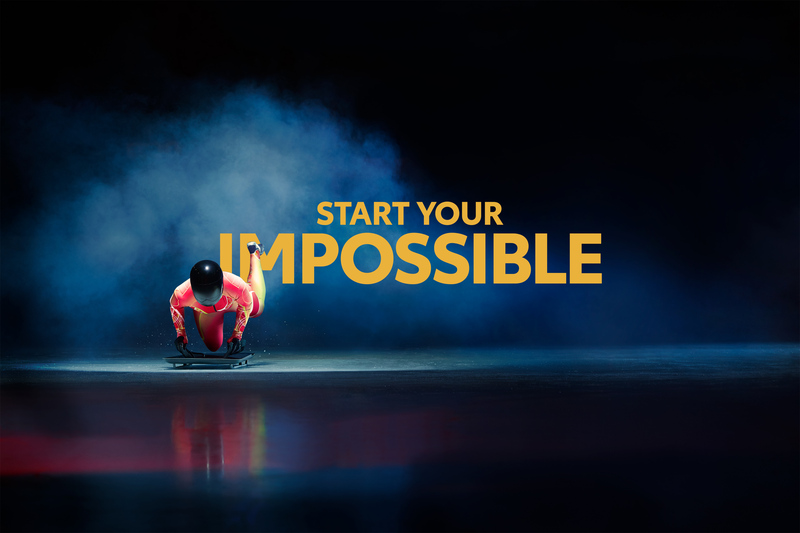 Others are featured in the company’s global corporate initiative, “Start Your Impossible.” New videos and television commercials will be introduced to a global audience during the events of PyeongChang 2018.